I have compiled a page for Frequent Answered Questions (FAQs) and I hope these will further enhance your knowledge on pigments & mineral make up. MAC DEFINITION: Pigment is a highly concentrated loose color powder that contains ingredients to help it adhere to the skin. Pigment is available in matte and frosted finishes and comes in an excellent range of colors. Use to create a subtle wash of color or an intense effect. Pigment does not streak or cake, is easy to blend and long-lasting. Since pigments are not packed according to volume, but are all packaged into the same containers, some jars will seem to be under filled while others are packed full. Different textures of pigment have different weights, and thus will pack differently. Generally those of the larger grain such as frost or rose will be very full, and are very fluffy. Most pigments will be full or near full. Pigments such as mattes, or finer textures may seem under filled. GENERAL DESCRIPTION: These are a heavily pigmented loose powder product that is highly versatile. Many people are fond of pigments for many uses, and pigments are often collected. They come in a variety of finishes varying from matte to a finish similar to luster eye shadows in loose form. 2. What is the difference between eyeshadows and pigments? Pigments comes in loose form, whereas eyeshadows are presesd form. 3. What can pigments do in make up? Pigments can be used in many ways. Pigments can be used in nail polish, lip gloss, lipstick, mascara, hair gel, as a loose eye shadow, as a loose blusher, as a loose highlighter, as a loose bronzer, as a body sparkle, and many other ways. 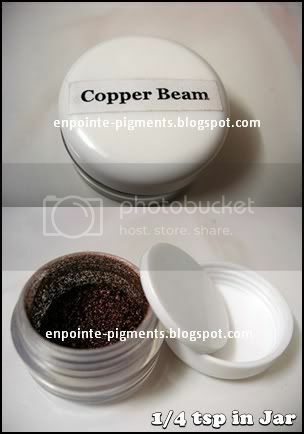 Pigments can also be mixed together to create another new color, and it works better if you are using the same brands. 4. How do I apply pigments? (a) By using an eye base before applying pigments such as CCB (cream color base) which helps "grab" the pigment and keeps it in place. (b) By applying them "wet" (or foil the pigments) such as wet the applicator or brush with water/mixing medium before applying. (c) By applying them using a sponge applicator or a shadow brush, lightly touch the pigment dust off any excess mica) and apply to your eye lids. ** tip: "pat" the pigments on and not drag it like you normally would with eyeshadow. 5. What do you mean by sample sizes and how much pigments I will be getting from you? 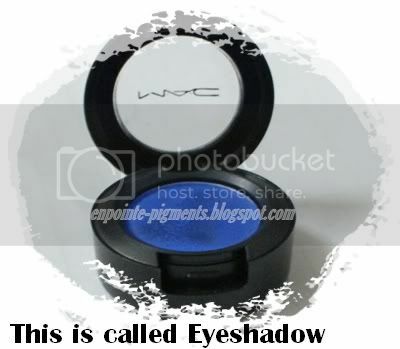 All MAC pigments are measured in either 1/4teaspoon or 1/2teaspoon and they are all packed in 5g jars with an inner lid. If you would like to try MAC Pigments, we have the smallest sample size , which is 1/4tsp; if you loved it and would require more, it would be RM15 for 1/2 teaspoon and so on. All MAC pigment are sold in jars only. As for other brands of pigments (ie. Sweetscents), they are sold in two forms, either in jars or in baggy (zip-lock bags). There are several sizes for mineral pigments and foundations, you can have them either in 1/4tsp, 1/2tsp or even 1 full size 5g jars. 6. Are all pigments eye safe? As for the current list, all pigments are eye safe (unless stated) except for glitters. Glitters can be used at the eye area but it is not advisable to use it on the waterline or as an eyeliner. You can read more at Specktra. 7. Why my pigments looks lesser in the container compared to the other colors? Pigments are not packed according to volume, some jars will seem to be under filled while others are looked as in the pictures. Different textures of pigment have different weights, and thus will pack differently. Larger grained pigments such as frosty or metallic colors may appear more than those finely milled pigments such as mattes, or the latest Overrich pigments. 8. 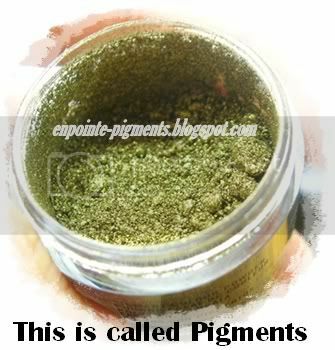 What are the difference between MAC pigments and Mineral Pigments (ie. Sweetscents / MAD)? Mineral pigments made to suit all skin types hence the pigments may not adhere to the skin as much as MAC pigments do. MAC pigments and mineral pigments has different ingredients formulations hence both of them are not comparable with each other. 1. How do I purchase pigments? You may wire transfer/ cash deposit or online banking to my bank accounts. You may choose CIMB/MAYBANK/PUBLIC as your preferable banking options. Unfortunately, I do not accept Paypal at the moment. 2.How do you ship these pigments? I normally shipped them via Pos Ekspress. If you need other shipping methods, do feel free to mail me your options. You may also opt for Pos Laju (Next working day delivery) or Registered Parcel. 3.When do I expect them to reach me after payment is made? I usually shipped the items within 3 working days. Do note that I do not ship on Friday, Saturday and Sundays. If you are located in the West Malaysia, you will get them within 1-3 working days. For East Malaysia buyers, it is expected to be delivered to your location in 2-4 working days. There are no COD service at the moment. 5. My package doesn't arrived, what should I do? Send an email back to me or you may call Pos Malaysia hotline at 1300-300-300 to trace your item location. You may also track your item at Pos Malaysia website. I am not held responsibility on wrong address information provided. I am not held responsibility if item is damage during shipment or missing packages upon delivery.